Step into 10 Half Mile Road, a home complete with all today's buyer might want. As you approach this home in your car, you realize it is as quiet as it gets in Norwalk. Each home, well-maintained but modest, demonstrates the neighborhood feel of Cranbury. There are trees and woods surrounding all of the homes, and plenty of green front lawns. The exterior look of this home also points to charm. Upon entering the front door, there is hardwood at your feet, with the living room to the left, stairs to the right, and kitchen straight ahead. In the living room, there is a fireplace at the center of the room. This also connects to the dining room, with a slider to a large back deck that is fully screened in. There is also a large patio back here, perfect for entertaining. Into the kitchen from the dining room, there are brand new counters, cabinets, floors--the whole nine yards. The appliances are all stainless steel, and there is no absence of quality upgrades. 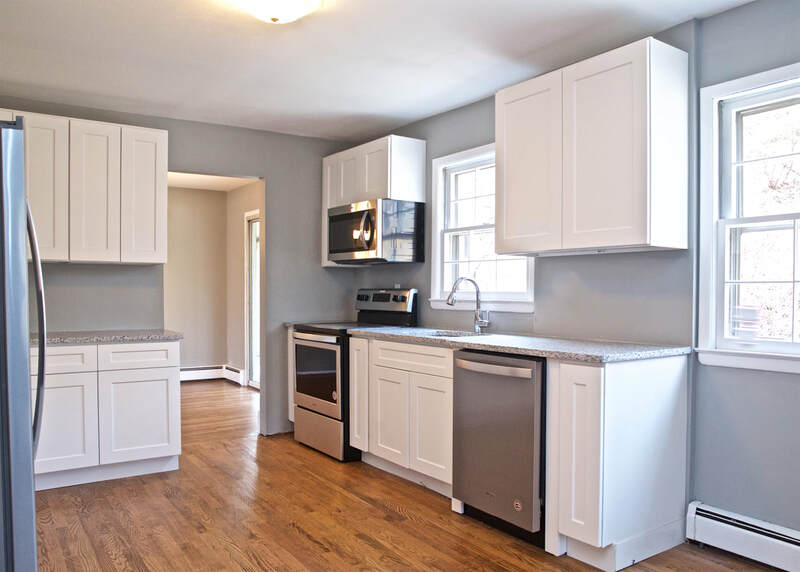 A brand new kitchen for a brand new homebuyer. Off this very kitchen, there is a step down into a family room/den, cozy and perfect for football Sundays or lazy weekends. There is a very-updated half bath here for entertaining so you don't have to go up the stairs. You can access the 1.5 car garage from this room, as well as the basement. The large, finished basement has new carpet, and a place for laundry. 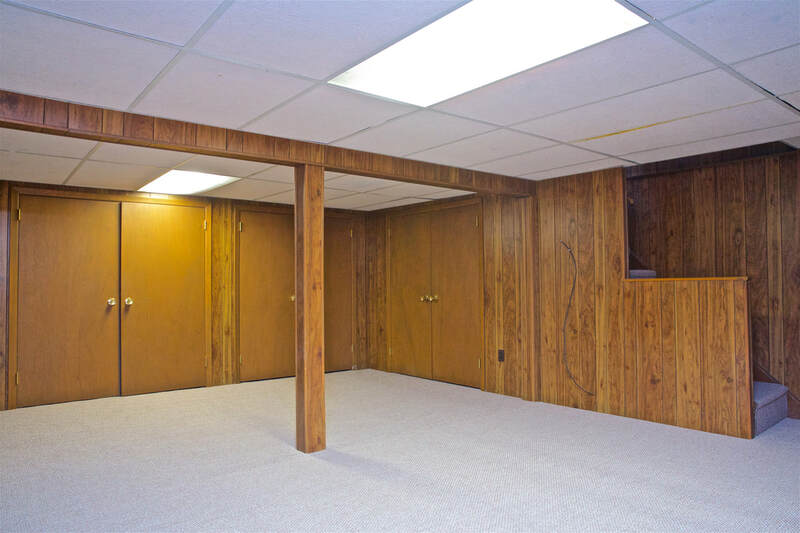 It may be a typical basement, but the room in the middle is quite large, another great playroom or family room. The upper level features three good-sized bedrooms. There is one bathroom that has a door to the hallway and to the largest bedroom. There is an attic, and plenty of closets for storage. The bathroom, though in need of some light updates, has a shower AND a tub, unique for a home of this size. New paint and refinished hardwood floors throughout, makes for a perfect home for someone new to the real estate game! Besides a location 4 minutes from Route 7 and 5 from I95, and 3 minutes to Cranbury Park, this home also has over an acre of property. Quiet serenity--or coffee break on the porch. This porch is enclosed and screened, making it a great space for most seasons. Off this porch is a stone patio that connects the den to the back of the home. 10 Half Mile is in a price point that is unbeatable in Cranbury. This colonial has 3 beds and 1.5 baths, a 1 car garage and a large basement. It has all the updates and charm you will need, as well as entertaining space for guests. All of this, nestled not too deep into Cranbury, and within shouting distance of major stores, highways, and parks! Call us to see it!